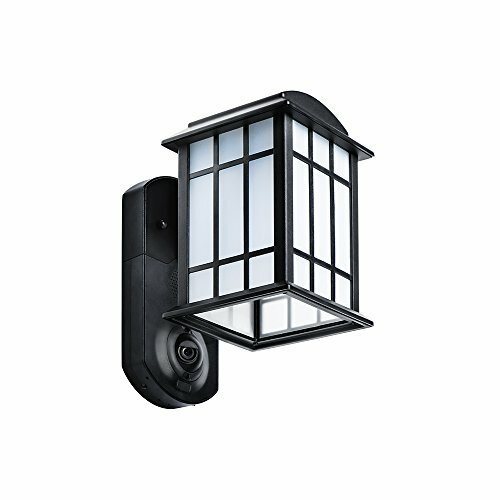 Visible outdoor security cameras are a great deterrent against would-be burglars. That’s why I have got prominently positioned cameras around my home. But there are two very valid objections to doing this. 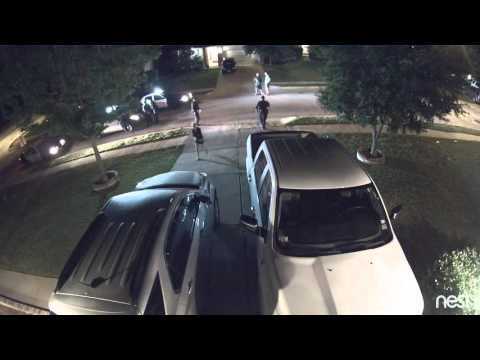 Its true, security cameras are not the be all and end all of home security and you need a well-planned strategy to protect your home. But placing hidden outdoor security cameras in unexpected places may lead to catching the act of the burglar destroying the visible cameras. You may even catch the burglar unmasking themselves because they do not see a camera around. 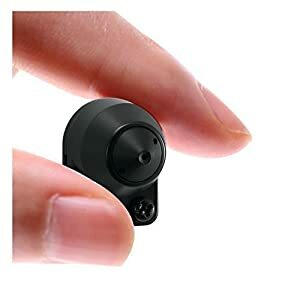 Or you could go the other way and just use hidden cameras only – that way you reduce the risk of the burglar masking themselves in the first place. Burglar Suspect Caught after 6th time. What are the different types of Hidden Outdoor Security Cameras? These are totally wireless battery-powered cameras. They usually cannot be connected to mains power, but may have solar panel accessories. Ideal for locations where you can’t get power, Internet connectivity or both. Wi-Fi and/or 4G LTE connectivity. 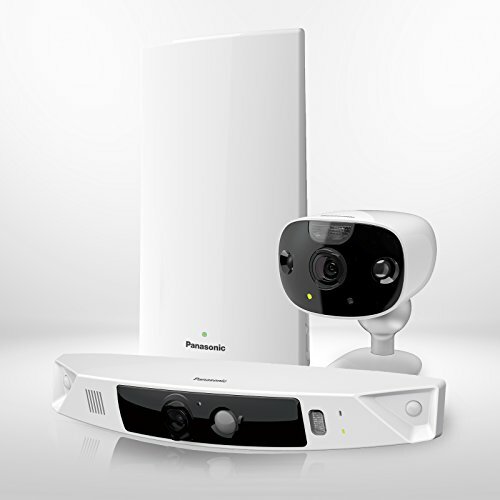 Panasonic has also joined the wire-free security camera wagon with its latest Homehawk DIY home monitoring range. The product consists of a base station (just like Arlo) but with a microSD card slot, a wireless battery powered front door camera unit and a wireless battery powered peripheral camera. Both cameras are IP65 rated weatherproof and run on rechargeable Panasonic batteries. There are many positives to talk about here. This is a high quality product from a reputable brand. There is no cloud or Internet reliance here. All footage is stored locally on the microSD card. This means your data is truly yours. I am very happy to see Panasonic take this route instead of crippling their cameras unless you pay through the nose for a paid cloud subscription. Colour night vision is a recent innovation and is something I really recommend going for. 2-way intercom with built-in microphone, speaker. We reviewed the Reolink Argus last year and really liked it. It was the only non-cloud reliant wirefree camera at the time. The fact that it was a well-built full-HD camera only made the deal even better! The Reolink Argus 2 improves on the original Argus by adding a rechargeable battery and solar panel charging options. The Kuna camera is the original big-daddy of the outdoor camera and light combination. This hidden camera looks like any other outdoor lamp and works just like one too. But look very closely and you just might see a hidden camera lurking within! This smart light with hidden camera can be fully controlled from your smartphone too. However there are a few downsides. One key omission is night vision as there are no Infrared LEDs. Like most mainstream security cameras, this hidden camera is a closed system and is reliant on the cloud. The free plan lers you look back only 2 hours of video and allows only 3 video downloads per month. It also does not let you access its live video stream from any app other than the official Kuna app. You cannot use Blue Iris on other ONVIF recorders with this camera because there is no RTSP stream. There is no API either, so home automation control is limited to Alexa support. The Phylink covert camera is a small wonder. It is an IP camera that packs 720p HD resolution, WiFi, Power over Ethernet(PoE), and a microSD card slot. The camera sensor is separated from the rest of the camera which allows you to easily position the sensor unit in the desired position. – Fully compatible connectivity, works over Wi-Fi, Ethernet, or Power over Ethernet (PoE). The Titathink is a more polished version of the Phylink and has an external antenna. A generous 20ft long cable links the camera image sensor to the main unit. – Cable lengths: 28ft From sensor to main unit. – High-Resolution 720P HD video streaming, H.264, MPEG4, MJPEG configurable stream. – 3-D Digital Noise Reduction (3-D DNR), Get exceptional image quality and video with less noise. – Works over Wi-Fi b/g/n, LAN or POE. WPS for easy wireless setup. – One Audio Line-in port for sound monitoring. – General I/O ports to connect external alarm devices. – Multi-zone Motion Detection, Email, Ftp, Push alarms to your phone. – MicroSD card slot up to 128GB, playback via our app or software. – ONVIF compliant, works with NVR, NAS or PC with surveillance software. – Free app for iOS & Android smartphones/tablets. Using a smart combination of the wired, wireless and wire-free outdoor hidden security cameras listed above, you have a far better chance of outsmarting a burglar. 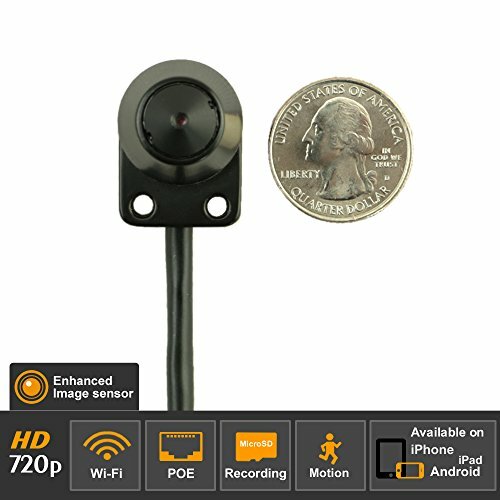 Why not share with us how you are using hidden cameras in your home?